With the diversity of platforms, it is impossible for MPI libraries to automatically provide the best performance for all existing applications. 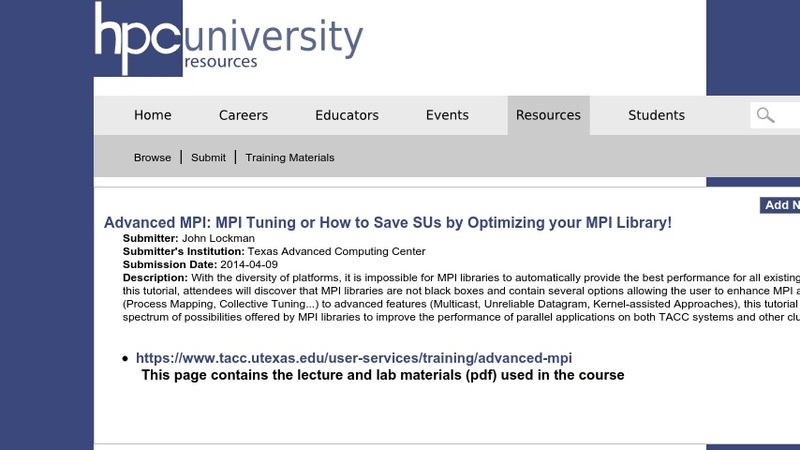 Through this tutorial, attendees will discover that MPI libraries are not black boxes and contain several options allowing the user to enhance MPI applications. From basic (Process Mapping, Collective Tuning...) to advanced features (Multicast, Unreliable Datagram, Kernel-assisted Approaches), this tutorial will cover a large spectrum of possibilities offered by MPI libraries to improve the performance of parallel applications on both TACC systems and other clusters.